Windows Defender Security Center will become your new dashboard to control malware protection, system performance, and security. Windows 10 Creators Update installation take about 20 minutes, depending on your PC and internet speeds. Your computer will reboot several times, then you’ll need to go through the out-of-box-experience (OOBE) to configure your privacy settings. 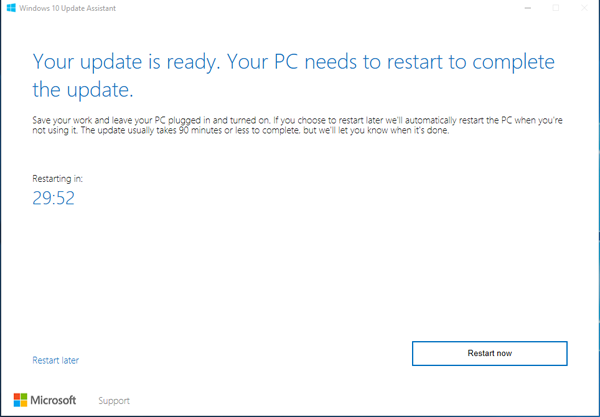 To get started Download and run the Update Assistant tool from Microsoft’s website. 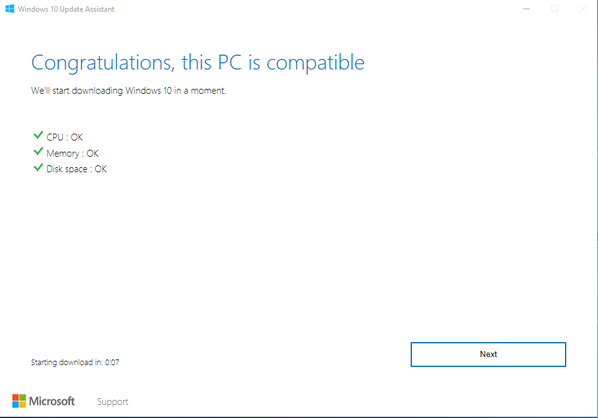 You’ll be told your PC is not running the latest version ans most secure version of Windows 10. 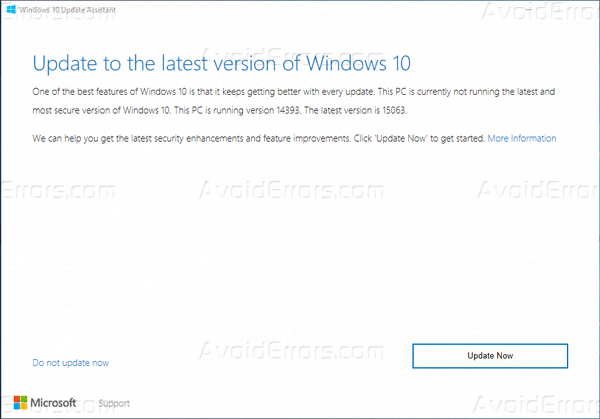 The Update Assistant will offer to upgrade you to version 15063, which is according to Microsoft the final more secure version of the Creators Update. 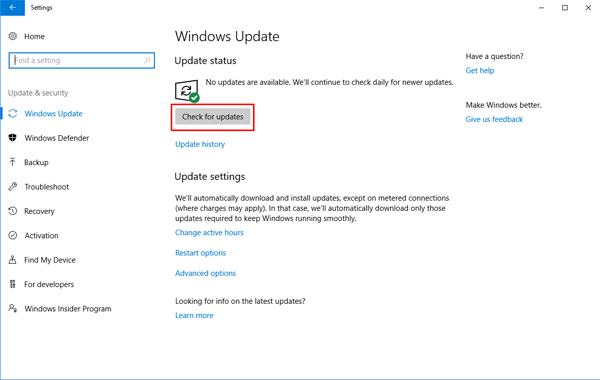 Click “Update Now” button and the Update Assistant will download and install the Creators Update for you. You PC must pass the system check which is done while in the process of updating. If it passes the system check, click the Next button to begin the upgrade. Once the update is ready, click the Restart Now button to apply it. If something doesn’t work properly after installing the update, you can roll back to the Anniversary Update and wait until Windows Update offers your PC the update. Windows Update is the most easiest way to get the Creators Update on your Windows 10 device. 3. Click the Check for updates button. The upgrade process is just like a regular update. After you’ve completed the steps, it’ll begin downloading the update. Then just click the Restart Now button to complete the installation.